Online Software ForSurveys With QuestionPro! 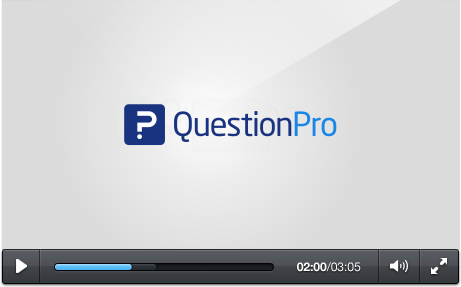 Use Online Software For Making Beautiful Surveys With QuestionPro. Start Today For Free! 3. Begin with a blank survey template. QuestionPro is also fully optimized for mobile devices as well, so you can easily build and distribute surveys using your tablet or smartphone. 1. Picking A Template: QuestionPro has over 100 different survey templates that you can choose from to edit and customize. Check out the library here and start using online software for creating surveys today. 2. Importing: If there's any questions that you already have and would like to use for your survey, you can upload them directly into the editor with Microsoft Word. 3. A Blank Survey: If you're simply looking to build your survey from the ground up, you can start from scratch and select from a wide range of options for creation and customization. Gauging customer satisfaction is one of the most important things that a business can do. Surveys can include questions that relate to product selection, pricing, store evaluation in addition to friendliness and knowledge of the staff. If you work in research & development and your company plans on releasing a new product, it's extremely beneficial to create a survey for market research. Knowing what your customers want before you release a product can save you a ton of time and money. In addition to the focus on your customers, you must also pay close attention to your employees as well. You can experience a significant drop in productivity if you don't evaluate and survey your employees frequently. If you happen to work in an academic environment as a teacher or school administrator, issuing surveys to students can help to identify if certain classes or overall curriculums are effective. Step 3: Choose how you'd like to begin creating your survey. You have three options with QuestionPro, that include choosing a ready-made survey from the template library, uploading questions that you already have or just beginning from a blank template. Is there a giant template library for you to choose from over 100 pre-made questionnaires from? How about if you have a survey already? Can you easily upload it into the editor? If you need to build your survey from the ground up, can you choose from over 30 different question types and a variety of customization options? Are you able to implement logic, branching and scoring into your surveys? 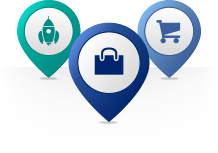 With QuestionPro, you have all of these features and more. When you're finished with your survey, what ways can you deliver it to your respondents? If there's a list of email addresses you have, can you easily import it into the interface for mass-delivery? Is there HTML code provided so that you can easily embed your survey into your website or blog? How about posting to social media channels like Facebook or Twitter? If you need survey respondents to take your questionnaire, can you purchase a sample with specific demographics like location or age? All of these options are available with QuestionPro plus a lot more! What options are available when it comes to analysis and reporting? Are you provided with a real-time summary of your survey results that show you the number of people who viewed and completed your survey? When your results are all in, are there data visualization tools available so that you can create infographics and word clouds? For analysis, can you filter data, create pivot tables and perform trend or TURF analysis? If you need to perform advanced analysis in Excel or SPSS, can you export your raw results? When you go with QuestionPro, you'll have all of these options and more. 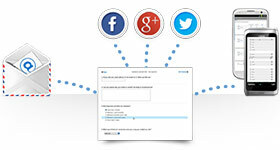 With QuestionPro, there are three different ways in which you can begin to create surveys. You can start by browsing the template library, which contains over 100 ready-made surveys covering many topics like customer satisfaction or market research. If there are survey questions you already have and need to import them into the editor, you can easily do so using Microsoft Word. Creating a survey from a blank template is just as effective, for QuestionPro offers you over 30 different question types to choose from, as well as adding logic and scoring to your survey. 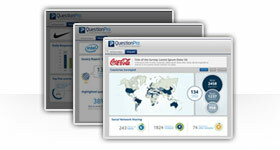 For distribution, you have many options with QuestionPro. Easily upload an entire list of email addresses for mass-delivery. 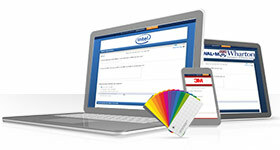 Embed your survey into your website or blog using the provided HTML code. You can post to Facebook or Twitter from within the interface. Planning on working offline? Download the QuestionPro App before hand to administer surveys, like at a tradeshow or convention. If you need respondents to take your survey, you can purchase a sample directly from QuestionPro with specific demographics like age range, location and gender. When your results start coming in, you can see the total number of people that viewed your survey, those that completed it and the average time it took them. Use in-house data visualization tools to create professional looking infographics or word clouds. Easily filter data, create cross tabs or perform TURF or trend analysis. 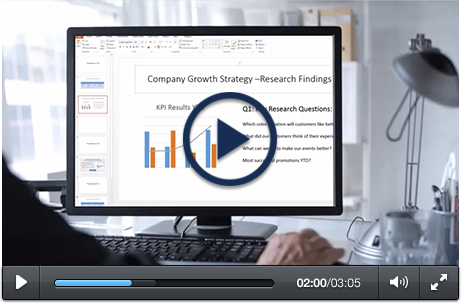 Download your raw data results to bring into SPSS or Excel for more advanced analysis. 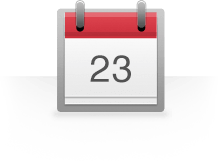 If you plan to have your survey active for an extended period of time, you can schedule exports as well.